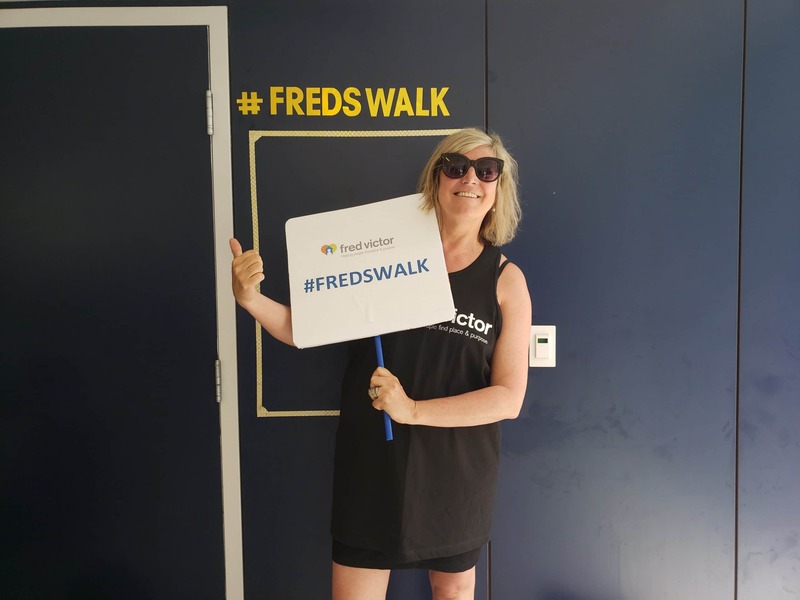 Freds Walk - 7k Tour of Fred Victor's Downtown Sites - Register Today! 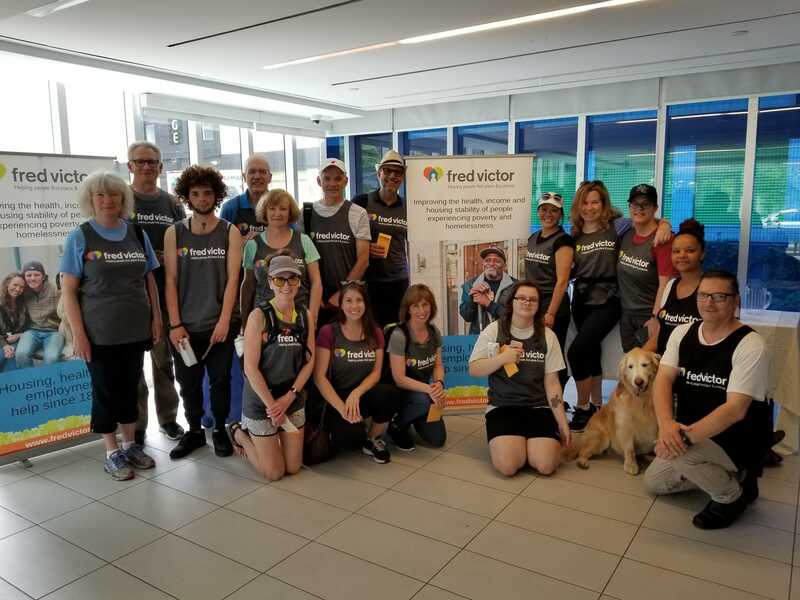 Join us on a 7- km guided tour of Fred Victor’s downtown sites and see first-hand how you can help people who are experiencing poverty and homelessness. 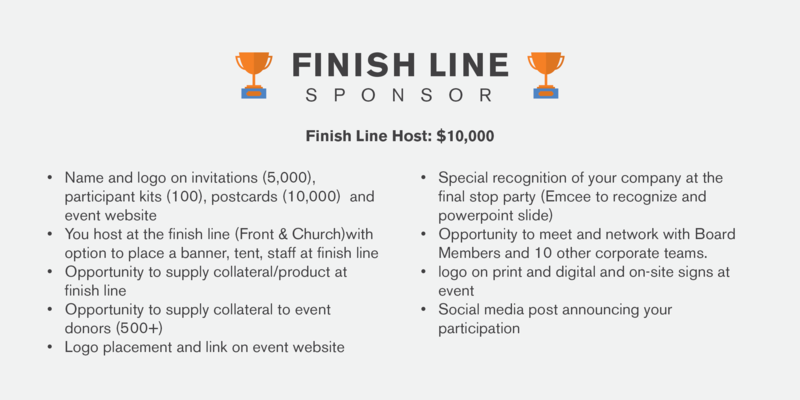 Open to a limited number of teams! 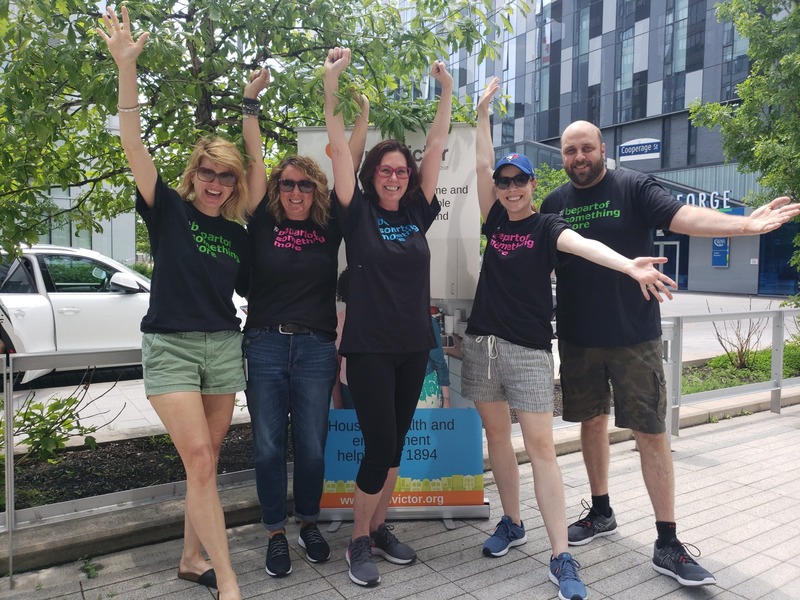 Learn about our housing, health and food programs at 145 Queen St East, our social enterprise Friends Catering business, mental health court support services, the Women’s 24-hour Drop-In, the Women’s Hostel, Transitional Housing and more. 1. 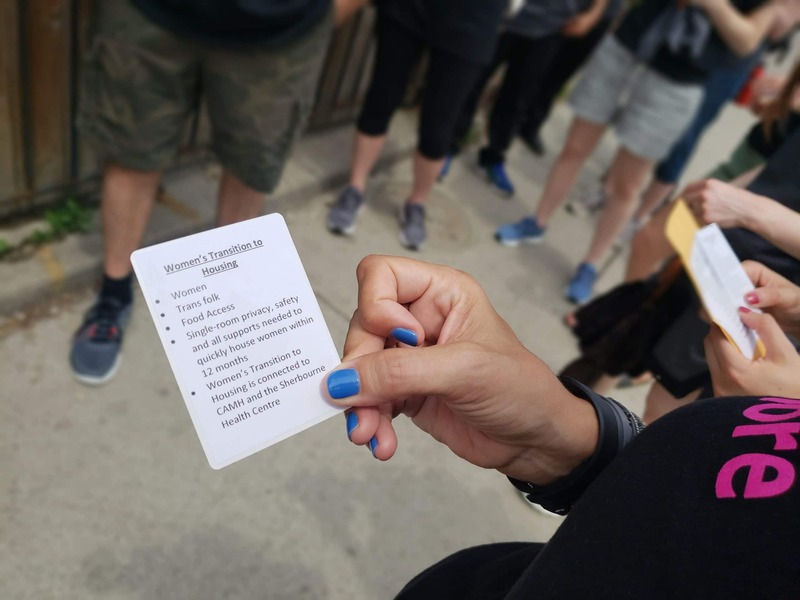 Form a Team and then Select a Team Captain who can represent your group at 3 team experience meetings. 2. Fundraise! 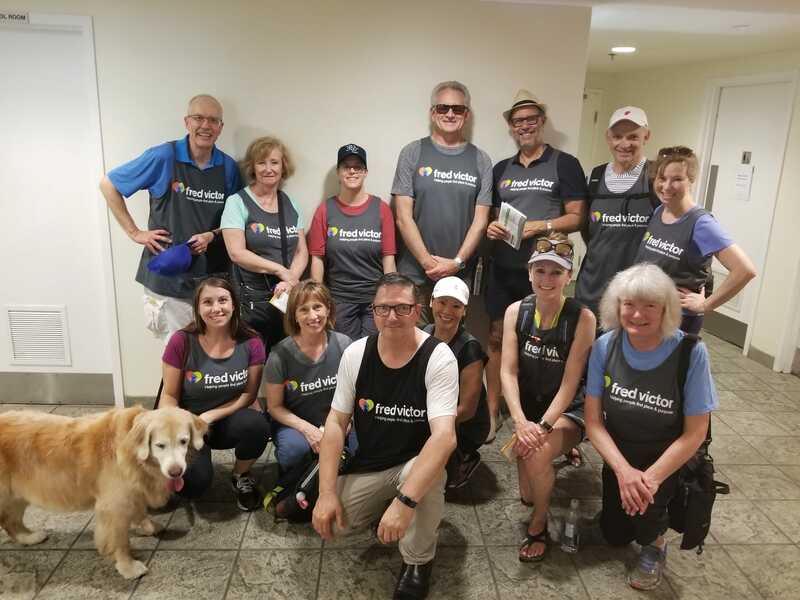 Set a goal and find fun and creative ways to raise money. 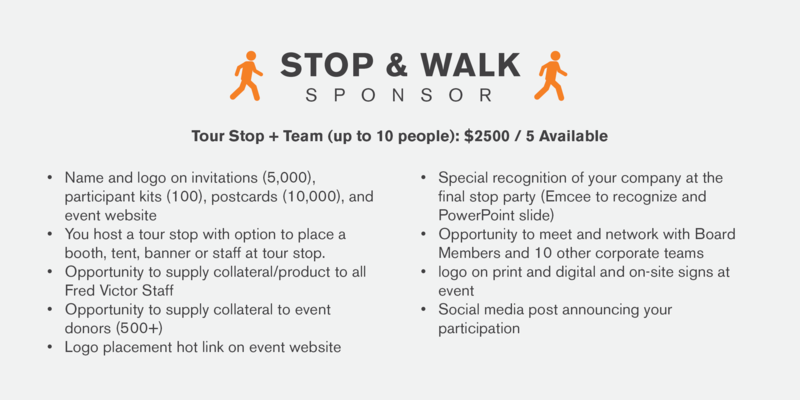 We’ll give you ideas, access to an online fundraising page, and help along the way! 3. 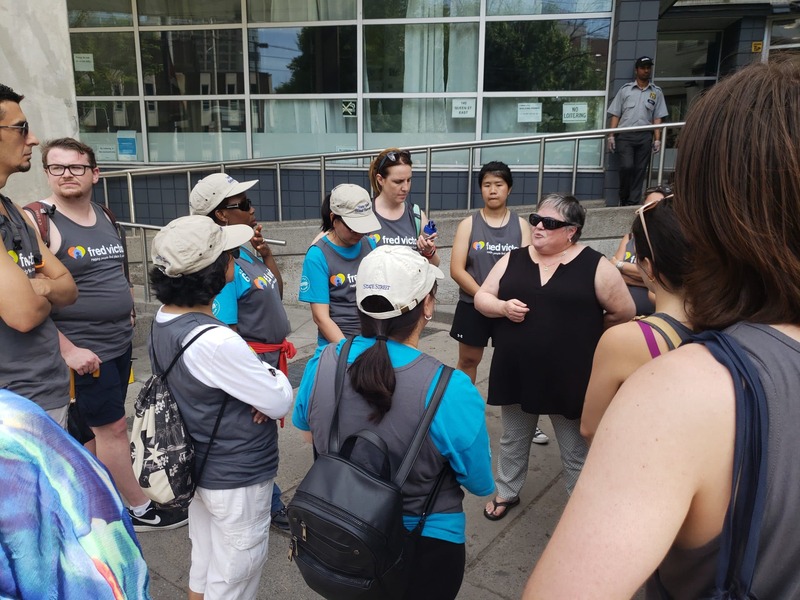 On June 7th, your team walks from site to site and learns about poverty and homelessness and what Fred Victor is doing in response. 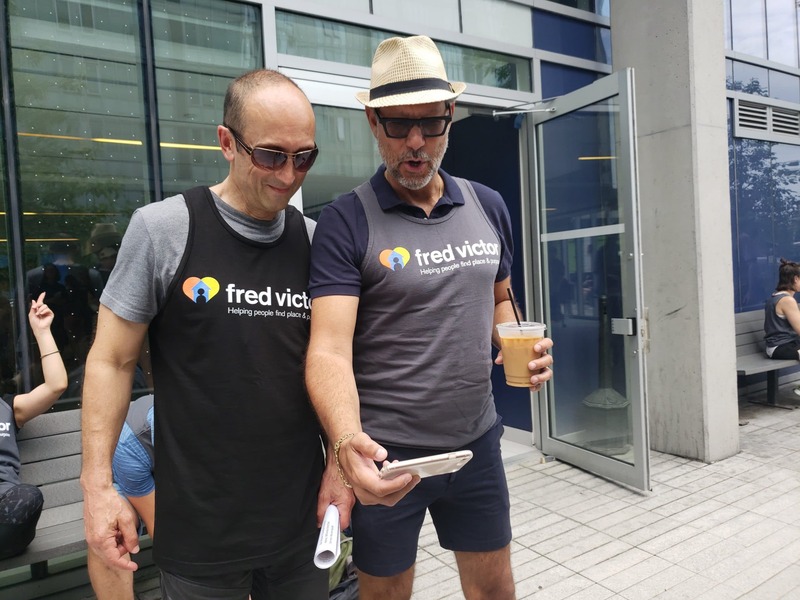 See how the funds you raise impact Fred Victor’s programs and services. 4. Celebrate! 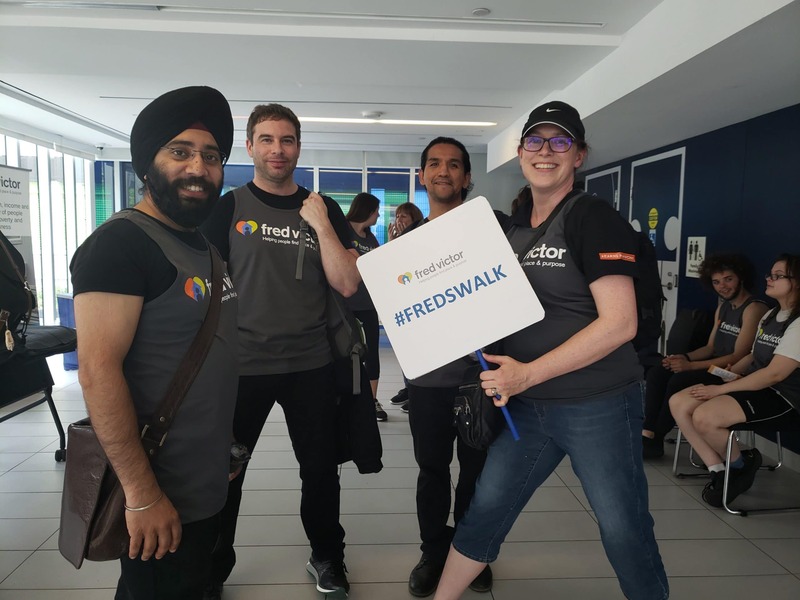 At our last stop, we finish with great food, wine and craft beer, awards and prizes to celebrate all the teams that participated in Fred’s Walk 2019. 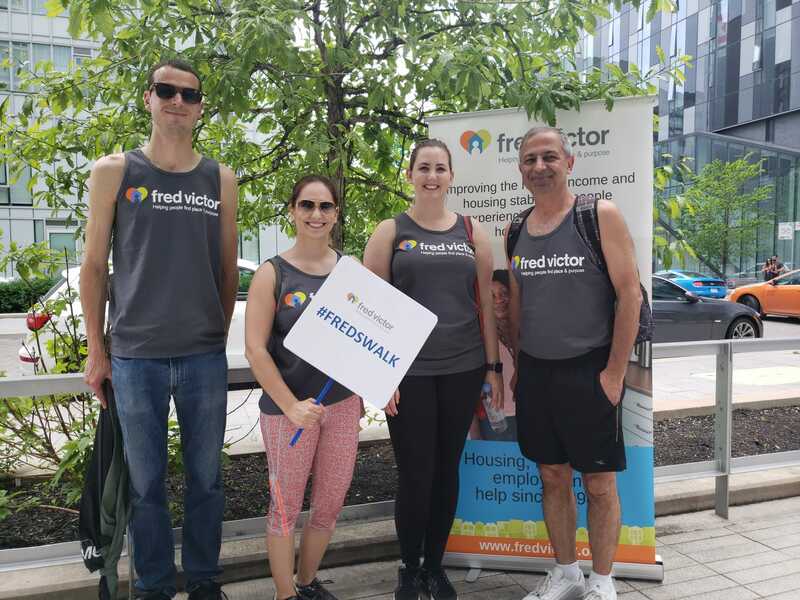 Fred’s Walk is a fun, spirited and friendly way to support Fred Victor and help end homelessness in our City. Ready. Set. Go!